Editors Note: There are two photos accompanying this press release. 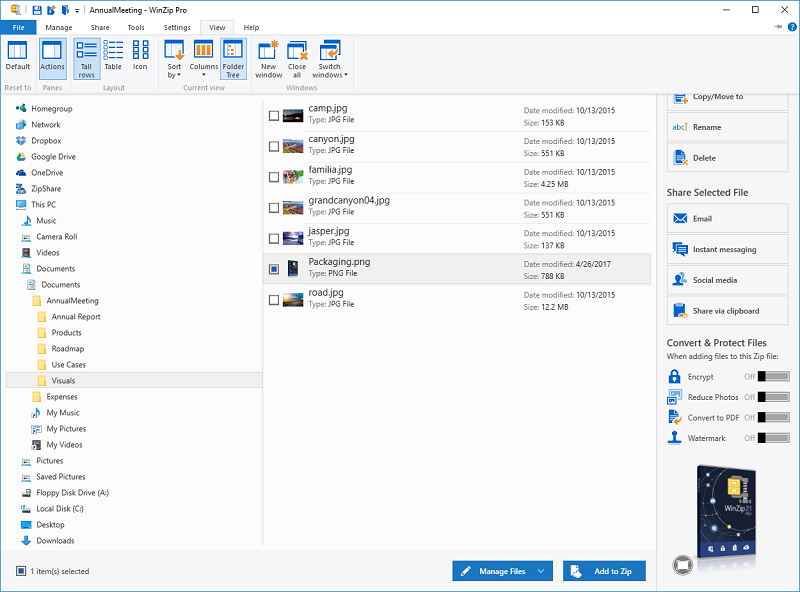 WinZip today introduces WinZip® 21.5 Pro, an update to WinZip® 21 Pro with new enhancements to streamline and simplify your file sharing workflow. WinZip 21.5 Pro is available now to purchase from www.winzip.com and can also be downloaded free by WinZip 21 Pro users from directly within the application. Files Pane tabs with Folder Trees: Files Pane tabs let you open, view, and manage different folders at the same time, instead of having to use multiple Windows Explorer windows. Conveniently see local, network, and cloud-based folders, and just drag and drop files from one tab to another to copy them. Try the Folder Trees option of the Files Pane to easily navigate through your combined computer, network, and cloud folder layout, making folder selection quick and easy. Replace Zip Files with their content: Quickly and easily unzip a group of Zip files and replace them with their native files. Automatic computer shutdown: For added security, you can now have WinZip Pro shut down your computer after running an automatic backup. Enhanced link sharing from the cloud: With just a click, easily share a link to files and folders in your cloud services. Share your link by email, IM, social media, or the Clipboard. 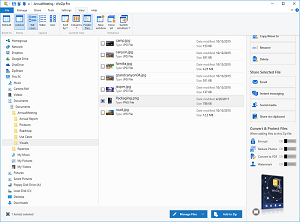 Keep track of the files you share with ZipShare: Whether you share files from WinZip or ZipShare, you can now easily keep track of which files you have shared from right within the Files Pane in WinZip 21.5 Pro. "Our users rely on WinZip because it helps them quickly share files while ensuring they're keeping their information safe. With WinZip 21.5, we've focused on the way you work to streamline how you use the application and make you more productive - no matter how you choose to share your files," said Bill Richard, VP of Development, WinZip. Available everywhere you want to access and share files, WinZip also offers powerful apps for macOS, iOS, Android, and a Universal Windows App for Windows 10. WinZip is the industry's leading application to create and unzip Zip and Zipx files and open compressed files including Zip, Zipx, RAR, 7Z, and more. For a free trial of WinZip 21.5, please visit www.winzip.com. WinZip® 21.5, WinZip® 21.5 Pro, and WinZip® 21.5 Enterprise are now available in 17 languages worldwide including English, Czech, German, Spanish, French, Italian, Portuguese, Dutch, Danish, Finnish, Norwegian, Swedish, Russian, Japanese, Chinese Simplified, Chinese Traditional, and Korean. To learn more about the WinZip 21.5 product lineup, please refer to this comparison chart. 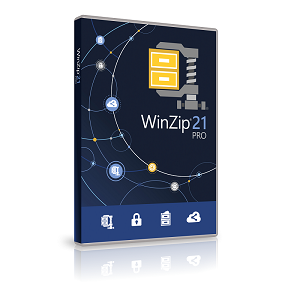 WinZip 21.5 Pro is available at the SRP of $49.95 (US), $64.95 (CAD), $64.95 (AUD), £42.95, and 49.95 (EUR). WinZip 21.5 is available at the SRP of $29.95 (US), $39.95 (CAD), $39.95 (AUD), £25.95, and 29.95 (EUR). WinZip offers affordable and flexible volume licensing discounts and maintenance options for organizations of all sizes. For more information, please visit www.winzip.com/enterprise or contact enterprise@winzip.com. WinZip is trusted by millions of businesses and consumers to boost productivity, simplify file sharing, and keep information private. The world's number one compression and encryption software, WinZip offers apps for all of today's most popular platforms and devices, giving users a better way to manage and share files in the cloud, email, and social media. WinZip's product line also includes powerful utilities to improve system performance and help keep PCs secure. WinZip is part of the Corel family of companies. For more information about WinZip, please visit www.winzip.com. Copyright © 2017 Corel Corporation All Rights Reserved. WinZip, the WinZip logo and ZipShare are trademarks or registered trademarks of Corel Corporation. All other product names and any registered and unregistered trademarks mentioned are used for identification purposes only and remain the exclusive property of their respective owners. WinZip 21.5 Pro makes it easy to handle your files no matter where they're stored, protect your privacy in the cloud, and quickly share with contacts. WinZip 21.5 Pro offers new workflow enhancements and an updated interface that make it faster and easier to share files across email, your cloud accounts, and ZipShare.